Which Type Of Awning Is Best For You? This is an example of a basket awning that is great for doors and windows. You’ve finally decided that your home or place of business could benefit from an awning. This is a great decision, but now, you must decide which type is best for you. The three main types are retractable, stationary, and basket awnings, each having their own perks and uses. Here is some information on the common types of awnings to help make your decision easier. These awnings can be moved back and forth as you please. This makes them flexible in comparison to a fixed version that must stay in place at all times. If there are days you want to enjoy the sun, you can simply retract it. This is also beneficial when a storm hits because strong winds could damage your awning. The option to retract it can increase the life of it. The absence of poles to keep the it up also allow for more space on your patio or deck. On the flip side, retractable awnings cost a lot more than other options because of how flexible they are. Also, If you choose an automatic version versus a manual one, there is always the possibility that the motor function could break. The direct opposite of retractable, stationary ones remain in place no matter what. These tend to be cheaper and are ideal for something like a window awning where adjustments really don’t need to be made. They are also good for your business. 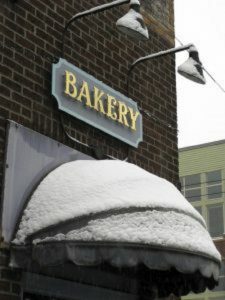 If you print your name or logo on the awning, you get year-round promotion versus just when it’s in use. They are stronger and can be bigger than retractable awnings since you can add support as needed. You also have more options when it comes to what material to use for your awning. However, these are more susceptible to damage from the weather because they can’t be moved. They also require more cleaning because they are always exposed to the elements. These awnings are smaller in size, making them good for shading windows and doors rather than porches and decks. They can be used year-round, but also do have retractable versions as well. Their retraction abilities are similar to that of blinds where a pulley system is installed to pull them back as needed. They get the name basket from their shape, curving all the way around the door or window, making them resemble an upside-down basket.